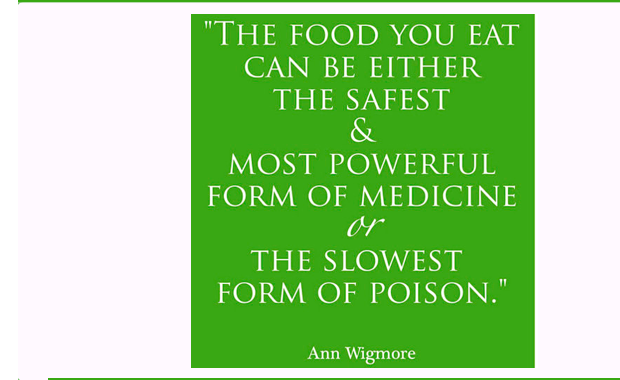 Those who know me have heard me say many times over the last couple of years how powerful nutrition is. That’s for a simple fact; changing my diet changed my life. Yes, I had to use other nutritional supplements to help get my body back on the right track, and I don’t believe I could have healed without their help too, but the bottom line is food is powerful stuff. I’ve read reports of people healing from various auto-immune diseases by changing their diets to remove the harmful chemicals we eat (unknowingly) daily, and by removing foods which our bodies just aren’t programmed to digest (hence why I follow the Primal/Paleo lifestyle). I can speak for myself and say that by removing all grains and dairy, I have changed my health. I have more energy, less physical ailments (from digestion to heartburn, painful cramping, headaches, fatigue, nausea, mood swings, etc) and whenever I cheat, I pay for it. Quickly. Here’s a video that a friend shared with me recently. It raises a lot of concerns about the few remaining grains I still let my son eat (namely corn) and I’ve definitely reduced his corn consumption while I research this more. Until then, have a look at Robin O’brien here; she’s as likely to be heading down this food crusade as I am (we both similarly grew up on the USDA recommended daily allowances of 6-7 starches/grains, and I can remember being so excited when my mom would sneak a hostess cake in my lunch box) but here she is, discovering some pretty terrifying facts about what the USDA allows us to eat, and what it means for our health.